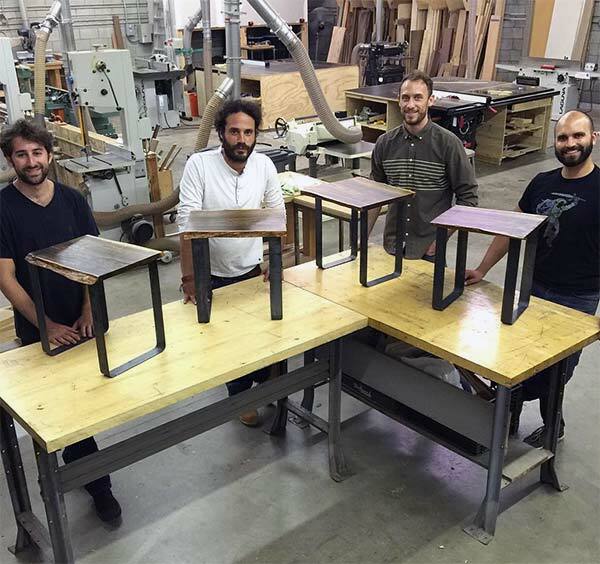 Combine woodworking and metalworking together partnering with Community Woodshop next door. Requirements for all Classes: No prerequisites or experience required for any of the classes. Safety check is not required for these classes for either the wood or the metal shop. We can teach about anyone to weld, but you have to be at least 14, not have a pacemaker (except for oxyacetylene), and it really helps if you can see decently in the dark (for instance, you don’t have trouble night driving). You should also not be squeamish around power tools and sparks. Students 14-17 must bring a participating parent or guardian to group classes (and sign up for two spots). Clothing for all classes: For the metal shop, you will be required to wear long sleeves and long pants, both made of 100% cotton or wool, and all leather or canvas shoes closed-toe shoes (Vans, Converse, work boots, cowboy boots all good; ballet flats, clogs, running shoes, all bad). No synthetic melty stuff. Please bring reading glasses and something to tie your hair back if you need either. For the wood shop: reading glasses, hair tie, and closed-toe shoes. 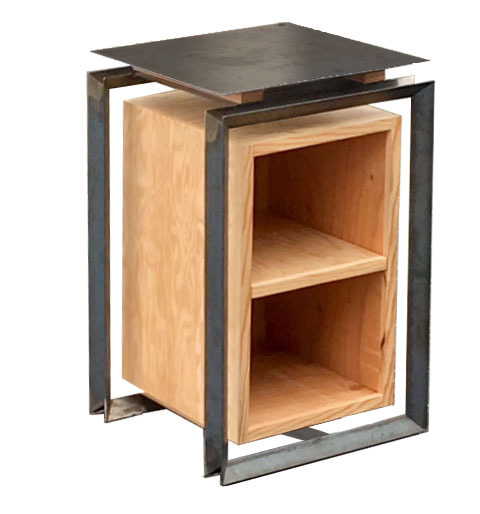 At Community Woodshop, you’ll learn to join up a board, use a bandsaw to rough out a circle for a barstool seat, and then use a router to clean up the edge and round it over for sitting delight. 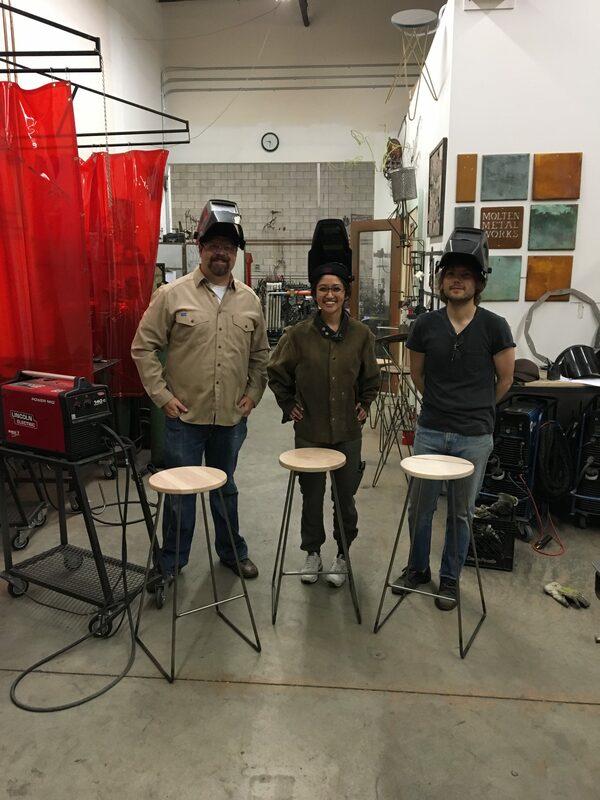 Over here at MMW, you’ll learn to cut steel using the horizontal bandsaw, learn to cut it with an angle grinder, bend it with a rod bender, then learn to weld it all together into a hairpin stool using the MIG welder. Class Details: (2) 3-hr classes, one wood, one metal. $150 (class fee) + $125 (materials and shop fee) = $275. Class Details: $150 (class fee) + $125 (materials and shop fee) = $275. At Community Woodshop you’ll learn to take that raw slab and turn it into a beautiful table top, using the planer, sanders, and finishing tools. In the metal shop, you’ll get to learn to use a 6000* flame torch to bend steel bar into steel legs that perfectly fit your fancy piece of wood. 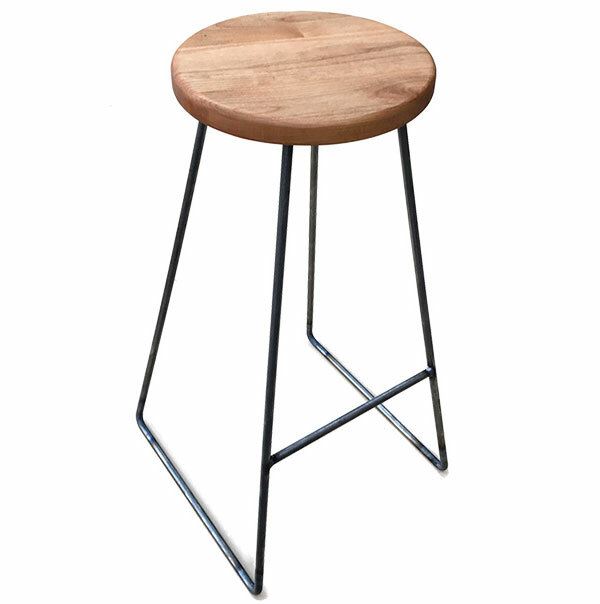 Burly, beautiful, functional…yours! (note: some times the metal night comes first, plus we’re switching back to hairpin legs because they’re more fun to make). Class Details: $150 (class fee) + $125 (materials and shop fee) = $275. Six students max. 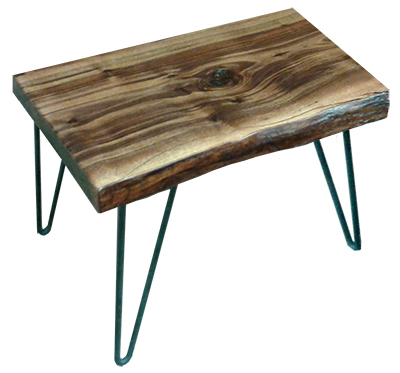 Upcoming Classes: Sat All Day, Aug 11, 9am-noon wood, 1:30-4:30 metal. Returns late Nov. 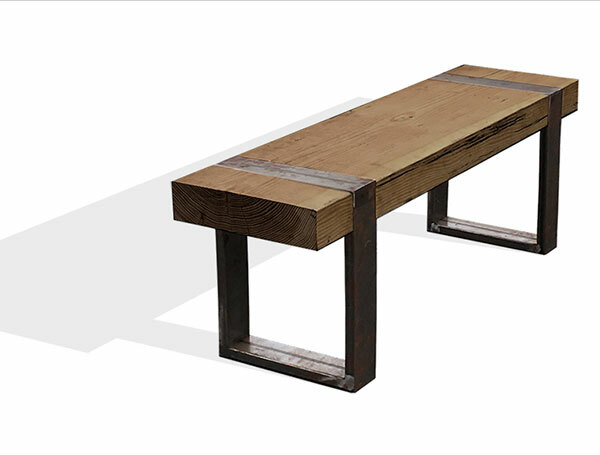 BRAND NEW TIMBER BEAM BENCH! At Community Woodshop you’ll learn to trim down a beam to size (how do you cut something that big–I don’t know). 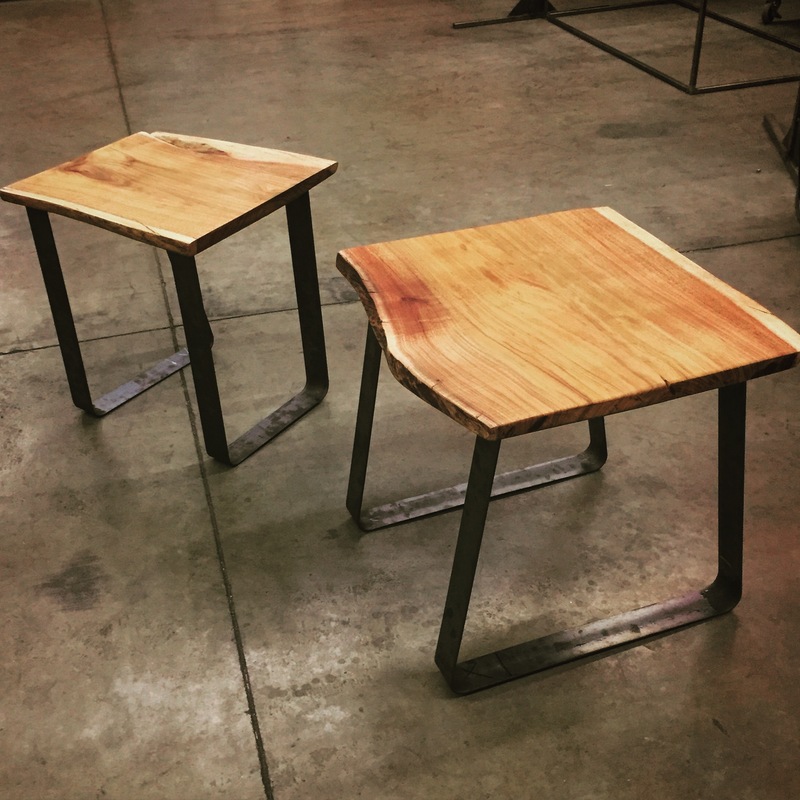 In the metal shop, you’ll learn to cut metal and weld it and grind it and make it support your wood seat like a medal-worthy metal would support wood. Learn to work with plywood using the MVP of the shop (the table saw) and joining ply into tight corners over at Community Woodshop. 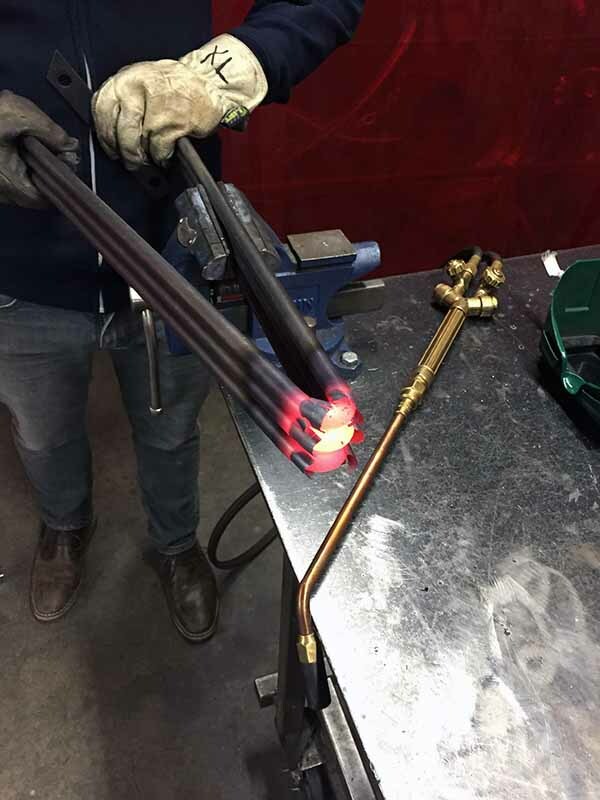 The second session you get to spend here at MMW, learning to make pencil-rod legs: hot bending the legs, drilling out the brackets, and then welding both parts together. 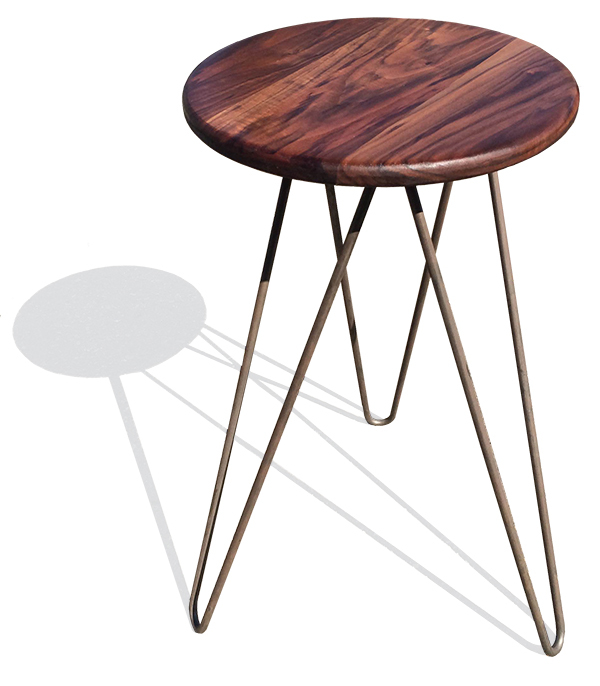 You’ll leave with a really nice side table and the pride of doing it yourself. 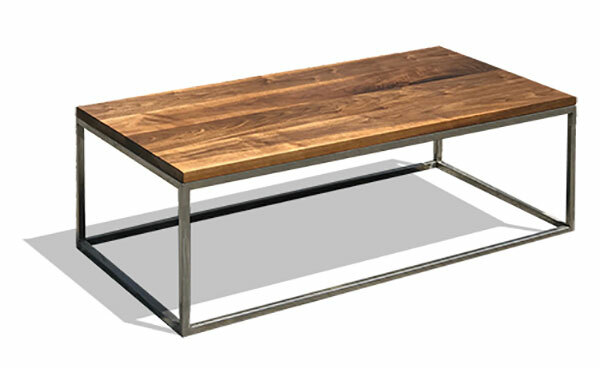 A modern classic with a tubular steel frame and a nice hardwood top. Ikea this is not. It’s built to last and built by you. 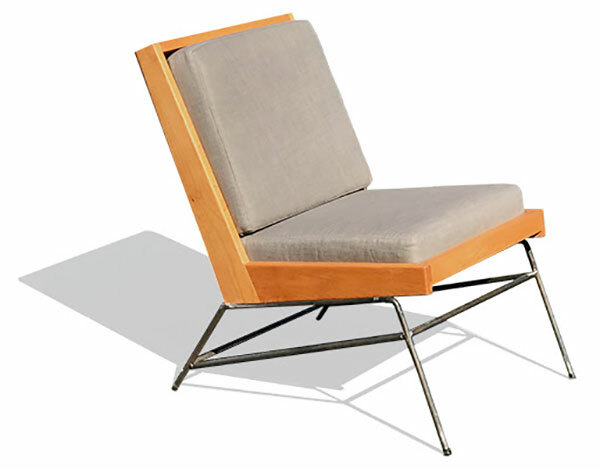 Perfect for your living room or outdoors on your patio (hooray California). 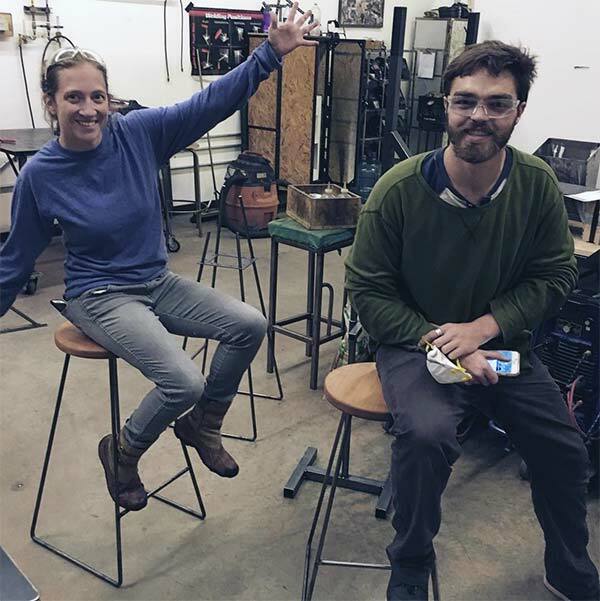 Two classes at each Molten Metal Works and Community Woodshop. Class Details: $160 (class fee) + $365 (materials, prep, and shop fee) = $525. Six students max. 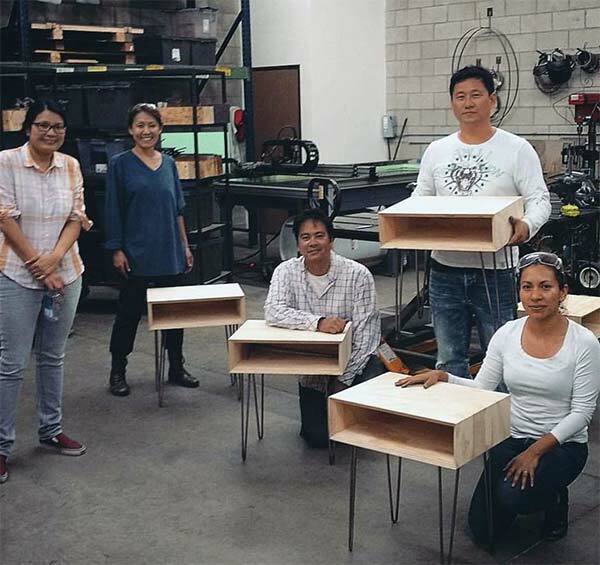 Spend the first 3 Sessions with Bob at Community Woodshop learning advanced furniture making techniques. Use the table saw for tapered cuts to make the side pieces and dado cuts to create grooves for the slats, as well as lap joints for strong corners. 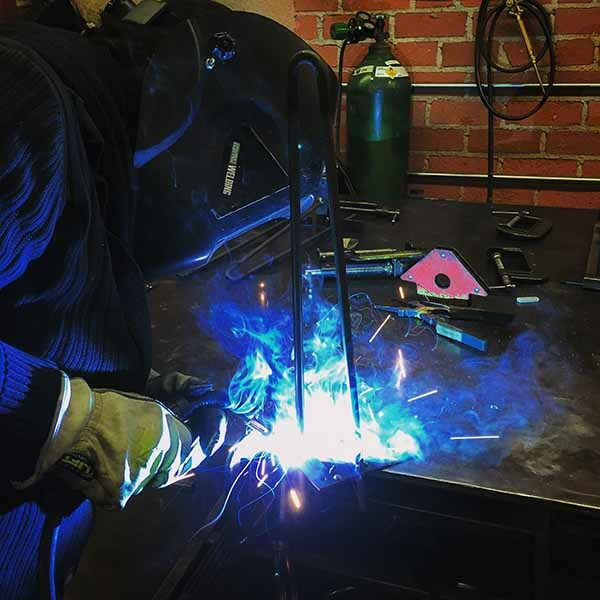 Then, spend the 4th session next door at Molten Metal Works where you’ll use jigs to hold steel rods at precise angles while you learn and practice MIG welding to build the bridge-like base. 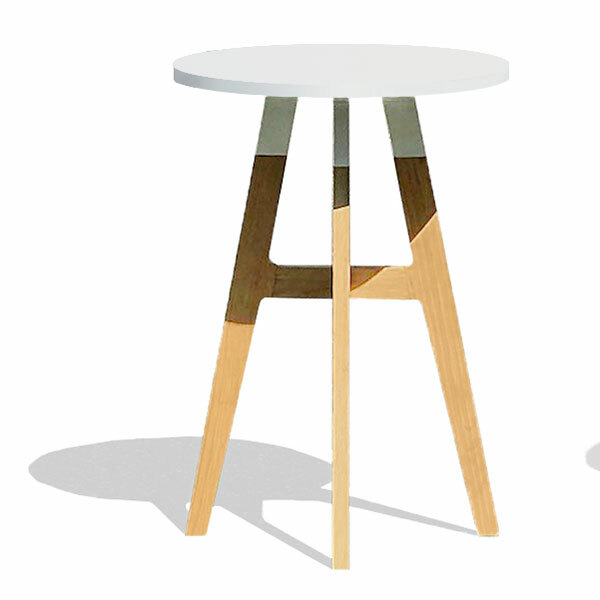 Recommended for aspiring furniture makers who are looking for more than just a taste and like to challenge themselves. Class Details: $460 and does not include cushions which may be ordered through CW on the first day of the workshop for $220. But what a nice chair for that price (plus the pride of building it yourself). Upcoming Classes: 4 class series starting with 3 Weds (10/10, 10/17, 10/24) at Community Woodshop, then 10/27 at MMW to build the metal base. 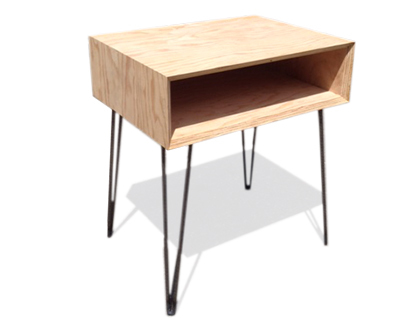 A new class building a beautiful side table inspired by modern California design. 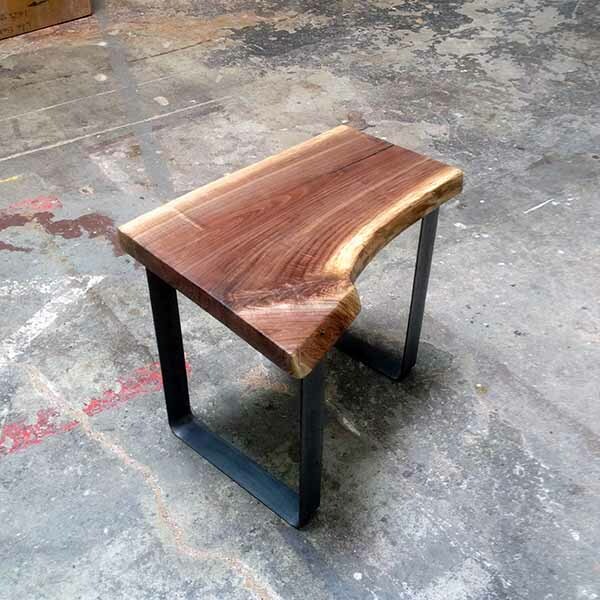 Two sessions at Community Woodshop next door, cutting, joining, and learning to biscuit join this hardwood base (wood varies based on market availability–usually walnut or oak). Then you’ll spend a session at Molten Metal Works, learning to weld and grind your way to a beautiful, finished piece. Then you’ll take it home to paint, stain, or just let it live au naturale (like an OG Cali hippie). Upcoming Classes: Three Weds Nights, July 11-25, 7-10pm (wood 7/11 & 7/18) Returns late Nov. This class will start out with a session at Community Woodshop next door learning to do some fancy table saw miters and details. 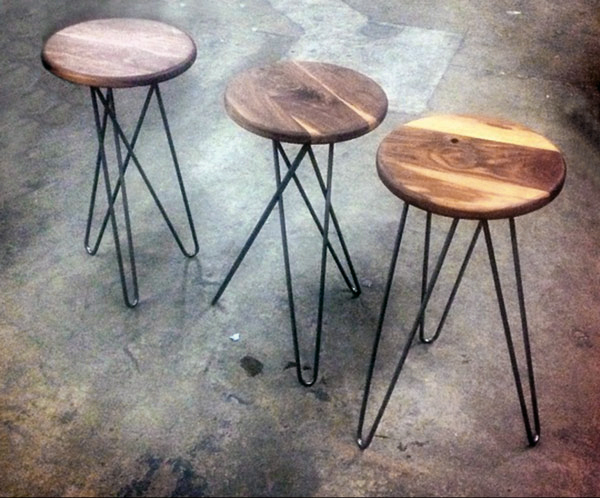 Then you’ll spend a session at Molten Metal Works, learning to weld angle iron, grind, and finish your piece. How you decide to paint it (clear or color), is up to you. Perhaps some Rothko for inspiration? Class Details: $160 (class fee) + $190 (materials, materials prep, and shop fee) = $350 Six students max. ©2018 Molten Metal Works, LLC. All rights reserved.